The House of Sew is a studio of hard-working, collaborative, creative, dog-friendly & human-friendly professionals. We are thankful, love nurturing talent, never forget to laugh at ourselves, and take celebrating birthdays and special occasions very seriously. Aside from fashion, sewing and sustainability, some of our shared interests include shrieking over cute things, music, art, and dance parties. Inspired by the vast mountain ranges, endless ocean depths, and the human psyche, Beverly is a multi-disciplinary artist who is well versed in the world of fashion and sewing. Since graduating in 2010 from the fashion design program at Istituto Marangoni, she has been published in numerous magazines and competed internationally with her namesake label, Beverly Gan. She is most passionate about minimalism, sustainable living, and empowerment. While the bottom line is important, she is also passionate about making opportunities happen by leveraging her extensive network and introducing the right people. She helps turn ideas into action. As a Chartered Professional Accountant (CPA) who also holds a Master of Accounting (MAcc) degree, she loves to analyze data, cash flow and forecasting. She is a big picture thinker who can simplify information and capture what investors need to hear. 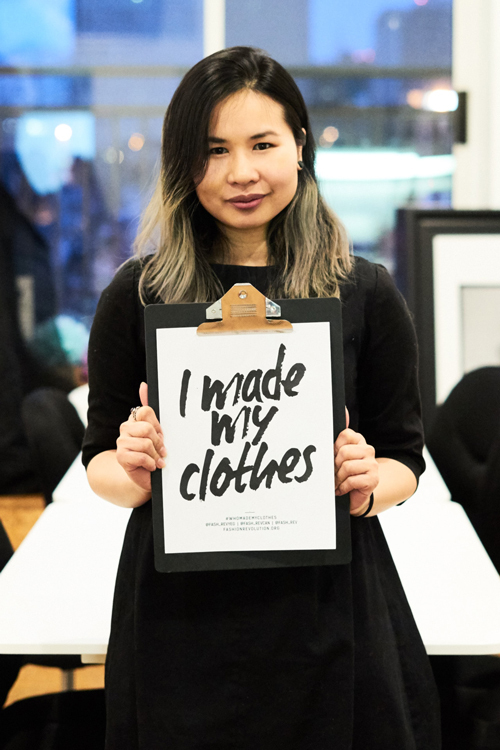 Working as the head of the fashion department at MC College, Alisha has remained an active and an influential component to the growth of the fashion industry in Edmonton. Her teaching experiences allow her to mentor and build community with her students and peers who share her passion. Her brand, Suka Clothing is a lifestyle brand with a strong understanding for music, subcultures, and high fashion. Focused on comfort, detail orientated design, and wearability, Suka collections are bold, street inspired looks, balanced with feminine silhouettes and simplicity. Graduating from MC college with a diploma in Fashion Design and Apparel Production in 2008, Gabriela first interned with local designer Alisha Schick for Suka Designs before starting her clothing line, CRUZ. She continues to take on contract work with local designers and clothing boutiques. When not creating, she enjoys spending time with friends and family, going out to different shows and events happening in Edmonton and is always listening to music as it is one of the main inspirations for her designs.